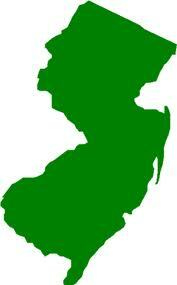 Gaming regulators for the state of New Jersey have begun initial exploration of a possible play-pooling pact with the United Kingdom, according to multiple sources. The news, first published on Global Gaming Business’s online portal, ggbnews.com, confirms that New Jersey’s Division of Gaming Enforcement [DGE] continues to be proactive in searching for ways to boost the state’s overall online-poker numbers. According to reports, New Jersey’s DGE has already reached a tentative deal with the United Kingdom Gambling Commission [UKGC], the powerful regulatory body that holds sway over that country’s gambling offerings. New Jersey’s new online-gambling regulations permit the state’s officials to pursue online-poker shared-liquidity deals with other jurisdictions, either interstate (US), or international, provided those jurisdictions meet the same overall regulatory standards as New Jersey offers. New Jersey has, in fact, already partnered in that regard with tiny Delaware, one of the two other US states where online poker is already regulated and available. New Jersey has also begun initial talks with Nevada officials, but the limited online-poker market there — it’s basically just the WSOP.com offering owned by Caesars Interactive and operated by 888 — has made Nevada officials hesitant to sign on the metaphorical dotted line. In the short term, until more US states come online, the greatest player-pooling opportunities are overseas. New Jersey’s online-poker numbers lagged far behind initial expectations, even being dwarfed by other online-gambling offerings available to its citizens. The recent addition of the PokerStars brand to the Garden State market has helped the brand, but not enough; much more growth appears obtainable. And with that in mind, as evidenced in the GGB story, the DGE has now contacted operators who are licensed in both the UK and New Jersey, thus being eligible to have players pooled, to get their input on how a proper pooling arrangement should operate. The GGB piece correctly notes that a handful of major operators are likely among those that the DGE has contacted; the short list includes 888.com (service provider for WSOP.com and some of Caesars’ Atlantic City casino brands); GVC (new owners of bwin.party, and thus the operator of the PartyPokerNJ site); PokerStars (with Resorts Casino Atlantic City); Gamesys (which recently inked a deal with Borgata); and Betfair, which stayed in the state following the demise of UltimatePoker by signing a new deal with Caesars. The contents of the feeler letter sent by the DGE to these companies have not been made public, but are almost certainly generalized and wide-ranging in scope. Among the first issues needing to be hammered out are taxation rates and revenue-splitting terms, with the former likely to be determined — if any of this comes to pass — on a “point of consumption” [POC] basis, meaning that the taxes levie will be based on cumulative revenue generated by players in their own jurisdiction. New Jersey, for instance, would get the tax cut on all revenue generated by New Jersey’s players. And starting somewhere, indeed, appears to the be the next step. In many ways, New Jersey has become the vanguard of online-gambling legalization and regulatory efforts in the US. This latest development most assuredly continues that trend.